Everyone knows you can write off cash contributions to approved non-profit organizations. Did you know that you can also deduct expenses incurred for charitable work? This includes a per-mile rate or public transportation fee for traveling back and forth to volunteer jobs. If you pay a state income tax and you owed money with last year's return, that amount can be deducted from your federal taxes. Do you live in a state with no income tax? You have the option of deducting state sales tax. A job search can be costly. If you're looking for a new job in your current line of work, you may be able to deduct related expenses that exceed two percent of your adjusted gross income (AGI), even if you don't end up finding a job. Allowable items include resume writing and printing, auto mileage and employment agency fees. Congratulations! You accepted that great new job offer, but the commute is more than 50 miles longer than your previous one. The good news is that you can deduct any unreimbursed moving expenses without limit as long as they are "reasonable and necessary," such as rental trucks or short-term storage. Even if you have health insurance, unreimbursed medical and dental expenses can add up, especially in times of serious health problems. You can deduct any such expenses that exceed 10% of your annual gross income. Do you keep copies of stocks, bonds and other financial information in a safe deposit box? The rental fee can be deducted on your tax return. Note that this doesn't apply for storing jewelry or personal, non-income-generating items. Working from home is becoming more common each year. If you use the spare bedroom in your Springs luxury apartment home as an office, you may be eligible for business expense deductions such as a prorated portion of rent. 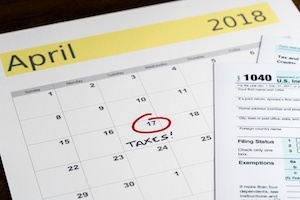 Do you have plans for a big splurge with your tax return? Share them with us in the comments!